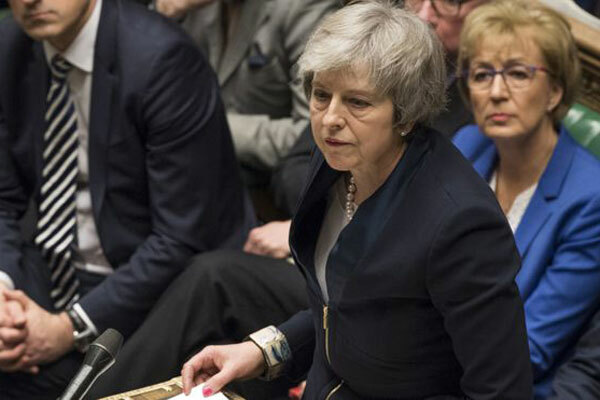 Britain’s parliament last night defeated Prime Minister Theresa May’s Brexit deal by a massive margin, triggering a no-confidence vote that could bring down her government, said media reports. Moments after the big defeat, opposition Labour leader Jeremy Corbyn submitted a motion of no-confidence in May’s government to trigger a general election. However, one senior party figure has suggested it is unlikely to succeed, with Northern Ireland's DUP and Tory rebels saying they will back the PM, reported BBC. The confidence vote is expected to be held at about 19:00 GMT, it stated. May has told MPs she will return to the Commons with an alternative plan next week, provided she survives the confidence vote. “A vote against this deal is a vote for uncertainty, division, and the very real threat of a no deal,” she argued to jeers from the packed chamber.